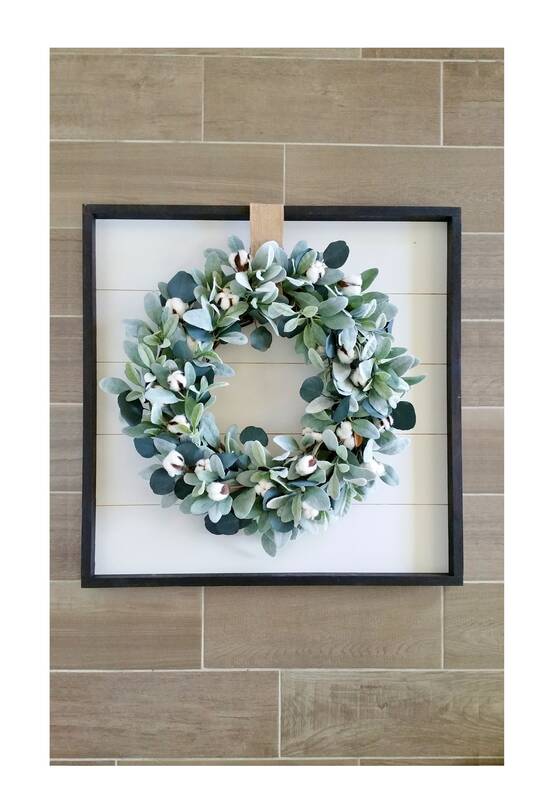 You'll fall in love with these Shiplap framed Cotton, Lambs Ear & Eucalyptus Wreath. 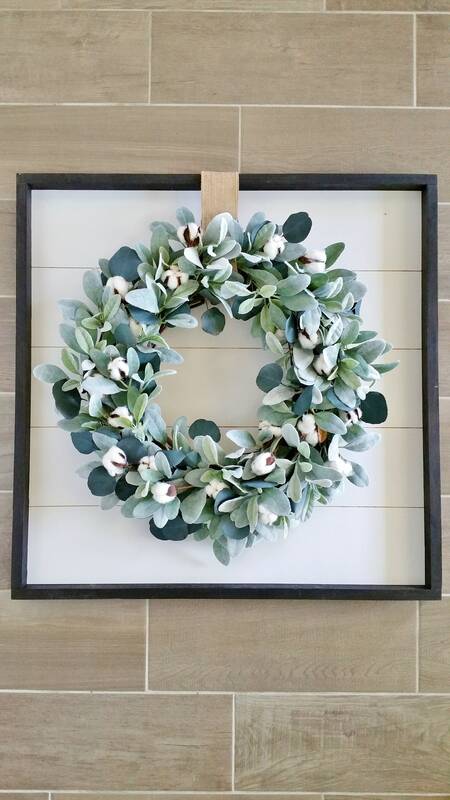 Featuring a Farmhouse inspired wreath arrangement decorated with Cotton Stems & Eucalyptus leaves in beautiful shades of green framed in our hand-crafted shiplap wall decor! 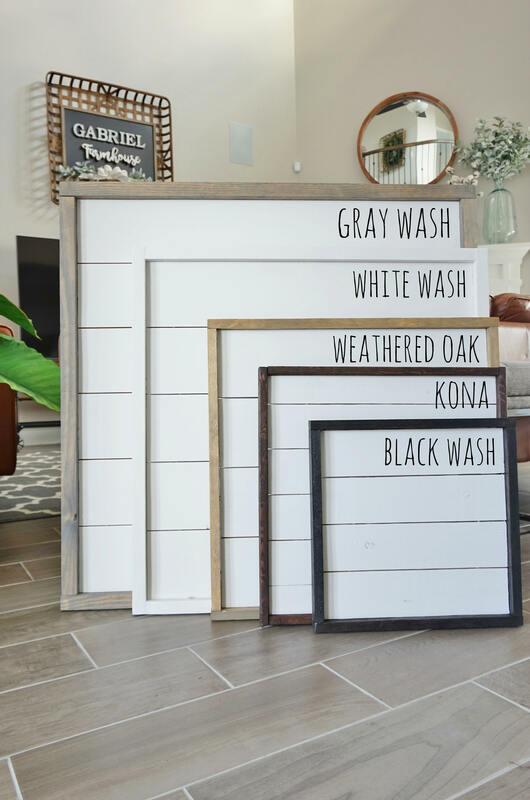 The shiplap framed wreaths are available in five different sizes and stains described below. 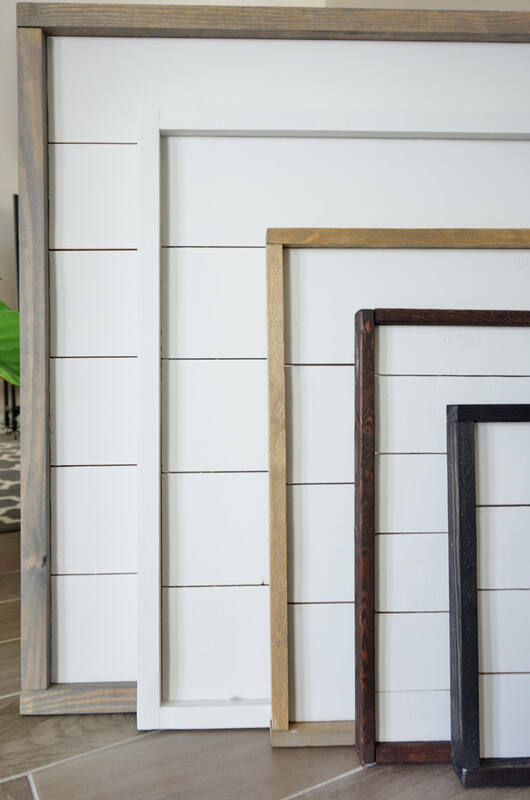 - Shiplap Frame: 16" x 16" x 1.5"
Love it! 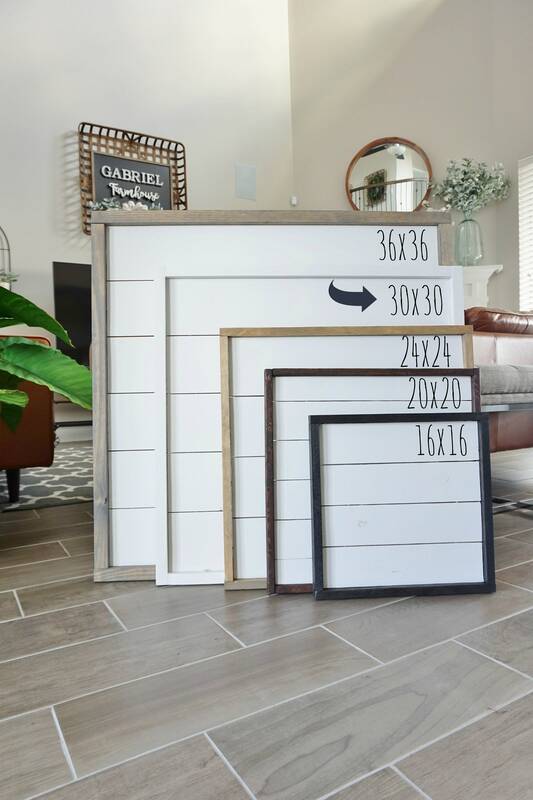 Just like the photo!! I get so many compliments!